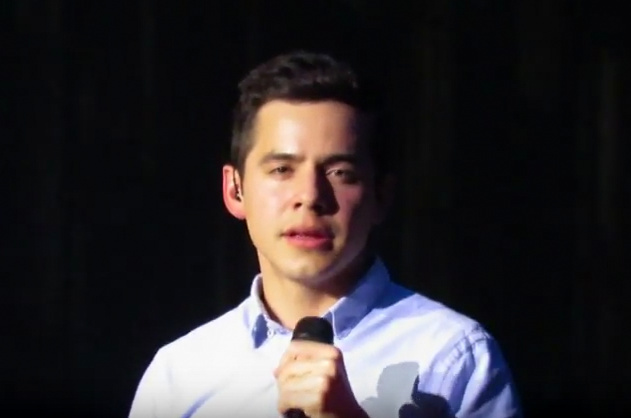 During American Idol, David Archuleta stated that he liked message songs, so it comes as no surprise that he covers Five For Fighting’s feel-good song, “The Riddle” in the pop portion of his Christmas tour. When the set list for the Christmas tour leaked, I was overjoyed to see “The Riddle”, but wondered if it could be the same song that I’ve loved since 2006. Does David know every song in the book? “Five For Fighting” is the stage name of lead singer/songwriter, Grammy-nominated John Ondrasik. He’s a hockey fan and took the expression used when a player gets five minutes in the penalty box. David and John are both storytellers; they sing songs that connect to their audiences. Their outlook on life and what music means to them is similar, too. In addition, they both grew up in musical families, play piano, are self-taught on guitar and started writing music at a young age. When David performs, he is the consummate storyteller. You are watching someone who is in the moment, making an emotional connection to his audience. Live in concert, you feel this connection down to your very soul. David’s ability to convey meaning with his singing is remarkable and has become one of his trademarks. John Ondrasik writes and co-writes music for other artists including Josh Groban and Brooks & Dunn. He also writes for movie soundtracks. 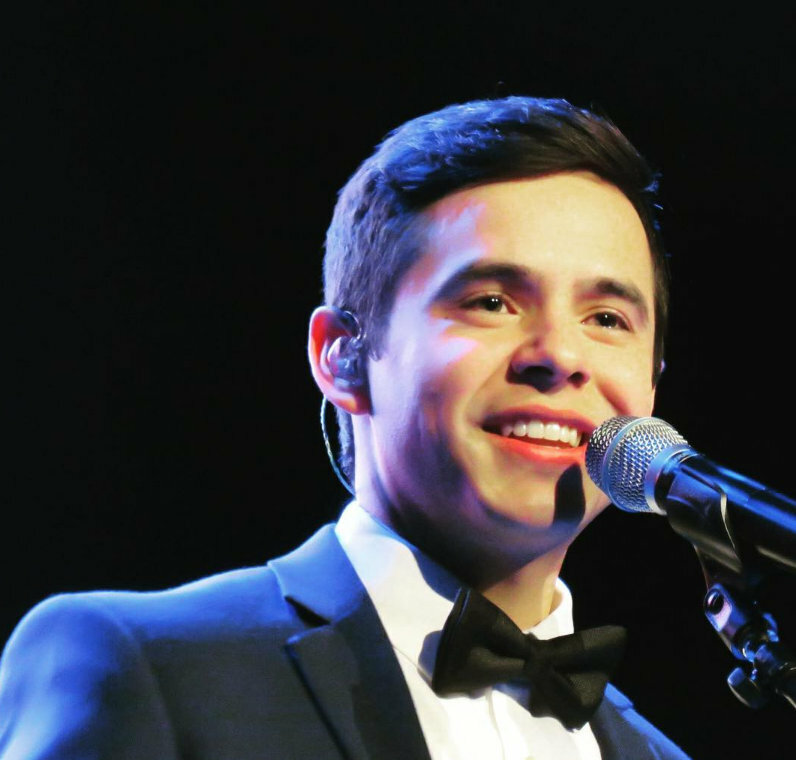 I’d love to hear that David is collaborating with John Ondrasik on some new songs. And don’t be surprised if David covers other hits by FFF including “100 Years” or “Superman”, both with inspiring messages. Here’s a riddle for ya…what has Honduran roots, glows, and can make any song, even the amazingly talented John Ondrasik’s songs, his own? I’ll give you one guess. This entry was posted on Monday, December 7, 2009 at 12:08 AM	and is filed under Uncategorized. Tagged: Ondrasik, the riddle, the Voice. You can follow any responses to this entry through the RSS 2.0 feed. You can leave a response, or trackback from your own site. Bebereader — What a beautiful job of writing. Laying out the parallels of John’s and David’s thoughts on life and their approach to the messages they wish to convey in their songs — very nicely done. Choosing the salient quotations for comparison is so enlightening as well about the feelings of these two amazing talents. It really seems that David has chosen his path and plans to forge ahead making music about what is important to him. 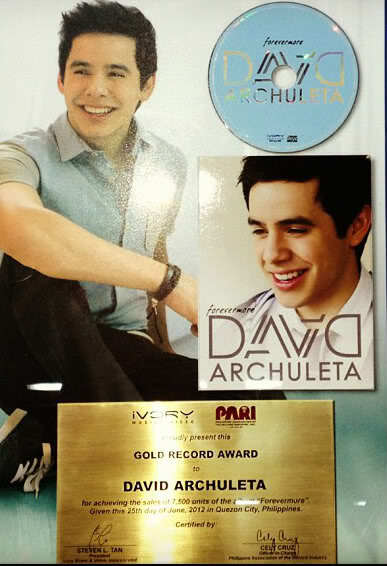 I’m so looking forward to 2010 and David’s next album. 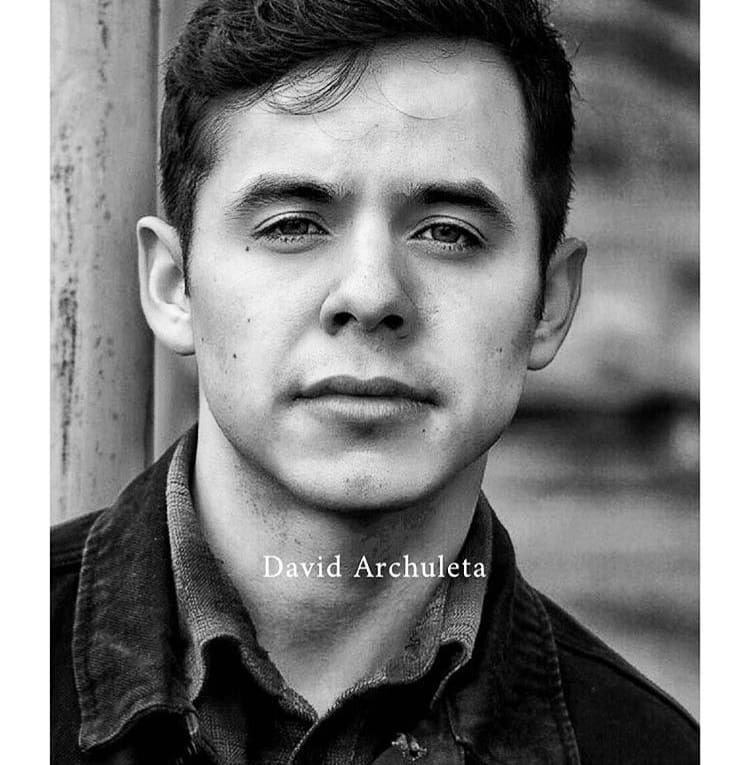 Bebe, What a brilliant article juxtaposing David Archuleta and John Ondrasic! I discovered Five for Fighting last summer, when David was in Toronto and he mentioned he met up with a local songwriter while there. A guessing game ensued in the fandom as to who that mysterious songwriter might be. I don’t remember if we ever found out the identity of the person, but the majority of the fans were hoping it would be John Ondrasic of Five for Fighting. I looked him up and fell in love with his songs. You already mentioned 100 Years and Superman, and I hope World is also in the list of songs David may cover one day. Superman would a particularly poignant song for him to sing, don’t you think? Yesterday the video of David singing at the assisted living facility was right on top of the Ann Arbor Riddle video at the left side of this page. I love the coincidence — David seems to have solved the riddle of life for himself by doing what he does, in his own quiet way. He seems to be saying wonder no more, that’s why we are here; we are here to love each other. Why does it take an 18-year-old to teach me the meaning of life? How interesting all the parallel’s you make. David does sure knows how to pick them. He sets an example without trying just by being himself. I had posted the assisted living facility video up top but it was made private so I removed. As much as I wanted to be able to see it, I understand the reasons why. I had never heard of this song, this group, or this songwriter. But this song sung by David has me all in a flutter. It’s done what Contigo, Save the Day, and Falling have done, entered my soul. I have been listening to it repeatedly. David has stolen my hearing, I only have ears for him. And here is David leaving the stage….OMG! Bebereader, great post! Thanks so much for the background info on The Riddle and John Ondrasik. I heard The Riddle for the first time ever in Ann Arbor … and without knowing any of the background, David made me understand the layers of meaning in that song immediately, just by the way he sang it … it’s haunted me ever since. FFF rocks! Loved David’s version of The Riddle! LOVED IT! Love this website too! 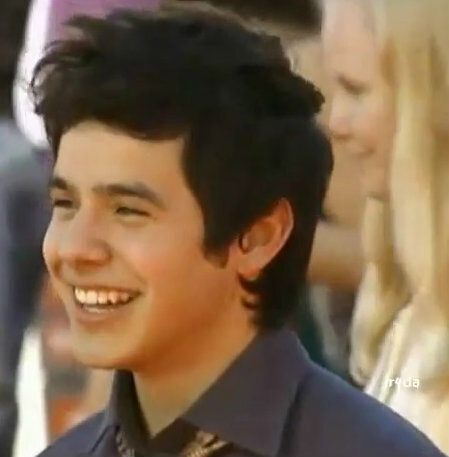 I love watching David’s story unfold. Am grateful to be here for it. That pic up top is mesmerizing. He is the most beautiful person. GOSH! Bebe, what a beautifully written and fascinating article. 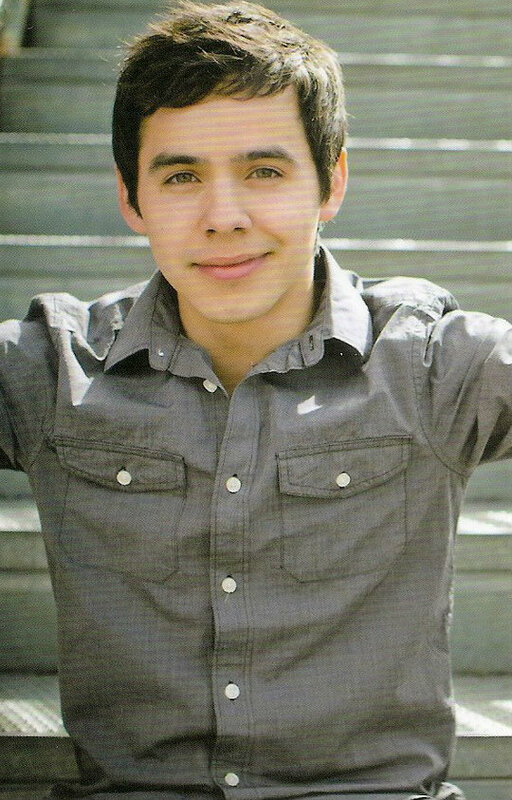 My first visit to this website, nice to see another wonderful website devoted to the miracle that is David Archuleta. Love the comparisons you make between David and John. The part about what music means to each of them gave me chills. Both men have a real desire to use their gift to touch people in a good way and make them better able to deal with life and that’s such a wonderful goal. 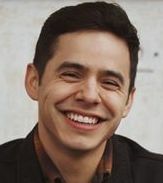 I’ve been a fan of FFF for a long time and am thrilled to make the Five For Fighting/David James Archuleta connection. Steno: You said: “It really seems that David has chosen his path and plans to forge ahead making music about what is important to him.” We’ll find out if this is true as we watch David’s career unfold but I think it’s safe to say that as long as he sings about what is important to him, the genre is irrelevant since he excels in any genre. YJ: I agree; it’s easy to fall in love with songs from FFF. David brings them to a whole new level. 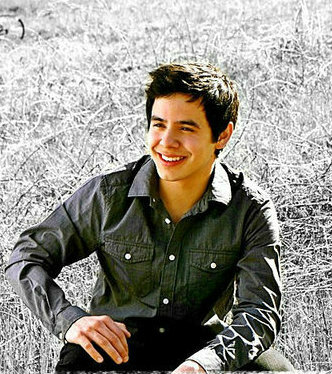 I’m so hoping for a Archuleta/Ondrasik collaboration! You said “Why does it take an 18-year-old to teach me the meaning of life?” Because we’ve been blessed. Dja: You said “Had never heard of this song, this group, or this songwriter. 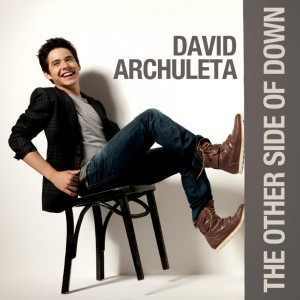 But this song sung by David has me all in a flutter. It’s done what Contigo, Save the Day, and Falling have done, entered my soul.” I know just what you mean. Do you catch the joy in David’s face when he finishes the song, when it becomes clear to him that his message was understood? Priceless! TOfan: Haunting, indeed! 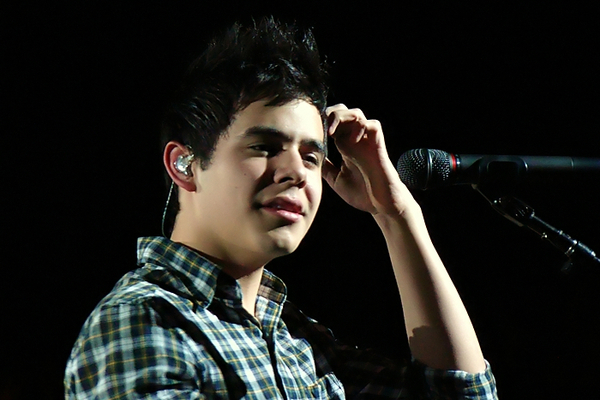 It surprised me that so many of David’s fans heard The Riddle for the first time when David sang it on this tour. When the song came out, three years ago, it was well-received but kind of fell into obscurity. So glad David brought it out again! Angelica: Loved your story! I’ve had similar encounters with record shop personnel. Why they think that we cannot possibly like popular, current music is beyond my comprehension. Our taste in music doesn’t necessarily change with age. I still like some of the same artists now that I liked years ago, and for the same reasons….the emotions their music brings forth and for the message that a song sends. Please double click on that video and go straight to youtube to watch. Angelica – have you ever seen the movie “High Fidelity”? It takes place in a record store. It is hilarious. Glad your story didn’t turn out like one scene in that movie. They are music snobs. bebe…had never heard superman…David has to sing it! David on the Larry King show Dec. 23! Bebebebe, this is such an interesting article, Thank you. I heard this song the first time on vids From SLC and hearing it live in AA was awesome. This kind of singer songwriter, heartfelt, meaningful stuff is what I want David to become known for. He certainly knows how to get the meaning of a song across. I look forward to more of your writings! LOVE your “Riddle For Ya”. “When the set list for the Christmas tour leaked, I was overjoyed to see “The Riddle”, but wondered if it could be the same song that I’ve loved since 2006”. ME TOO: I had been thinking the same thing. And I’ve also been a fan of FFF for years. 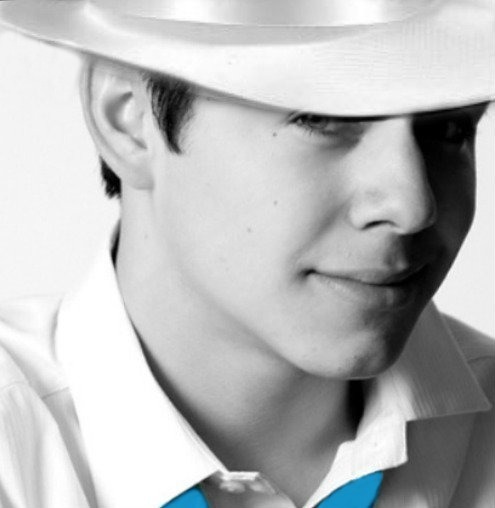 An Archuleta/Ondrasik collaboration would be way cool. Let’s keep hoping and maybe it’ll happen. 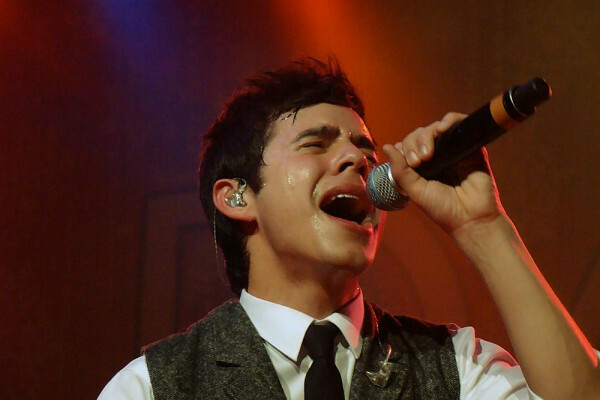 think that an Archuleta/Ondrasik collaboration would be way cool. bebe, I haven’t had time yet to read your article, but I will as soon as I get home from KC. I’m feeling all kinds of emotions right now. I just saw HIM 10 days ago? And I’m as excited to see HIM as if it’s the first time! Why is that? Can sombody please tell me? A SPECIAL REQUEST LORD…CLOAK DAVID AND HIS TOUR COMPANIONS IN YOUR PROTECTIVE ARMS AS THEY JOURNEY THROUGH HARSH & COLD CONDITIONS DURING HIS WINTER TOUR, AND PLEASE LORD, KEEP DAVID AND HIS VOICE HEALTHY AND STRONG as he fulfills his Destiny which was written in his Book of Life before he was born. Bebe – The Superman video says it’s not available in my country. I live in Mississippi, could that be the problem? Funnygirl – Is that your first time posting here? I’m so glad to see you! And Beebee!! Sweet, generous, hilarious, fan-girling, blither-bombing, (PDF maker without even being asked and I will NEVER forget that,) Beebee! Hola and welcome to you both! Dja#3 Oh my stars and unmentionables..he went down into the audience. Left the stage and went down into the audience!!! Dancing and singing in Spanish all the way. Does Senor Archuleta think we are made of stone? No, Senor, we are not. For myself, I do not ask for mercy. No, gracias, give it those more deserving. Angelica: I saw that the video was gone so with the help of dja, it’s already been replaced with a live copy! Check it out! bebe, what a thought provoking article. The thought that you put into it to create it makes it worth re-reading to absorb even more. Thank you for the comparisons and parallels that you made. Be safe SF–winter weather is here. Can’t wait to hear from you when you get back. betsy….Are you trying to kill me? lol Just beautiful…beautiful. SF…I’m feeling all kinds of emotions right now. I just saw HIM 10 days ago? And I’m as excited to see HIM as if it’s the first time! Why is that? Can sombody please tell me? I am at a complete loss as of to why. I just know that I get like that when I’m going to see him and miss him terribly after a few days of seeing him….can someone tell me why? Refref: I can only imagine how it felt to hear David sing “The Riddle” with a symphony orchestra behind him in Ann Arbor. I believe what you witnessed was greatness. SandyBeaches Glad you enjoyed this article! Come back soon! Mollie: Hello to a fellow FFF fan! SF: Safe travels and have a great time in Kansas City! I’m afraid I can’t answer your question; I was kinda hoping you’d be able to enlighten us! heh! Tawna21: Thank you; it was a labor of love. djafan: You don’t know how comforting it was to see that twitpic! Thank you!! FG: Welcome to the Voice! JeffR: So glad you enjoyed the article. Please visit again and often. Thanks for the welcome! This site is awesome! refnaf – it took me 3 days to think I was going to live after Ann Arbor. It was the worst low I’ve experienced post-concert. I think it is because I don’t know when I will see him again live. There is nothing like it. Nothing. Good Morning! Silverfox is away! Off to KC on a rendevous with David. Lots of others I know are headed to the KC concert tonight. Be safe and have an absolutely fabulous time! A side note more in keeping with the topic of this thread…have you guys noticed the way he sings the word, “world” in The Riddle? It is like nothing in this world. That is just, aahhh. I need it. That Riddle song…I had crazy insomnia this morning and I had this idea to put on The Riddle on loop and happiness I just woke up…it worked! Something about that melody in David’s voice just soothes me and yes Angelica the way he mouths those words are part of his musical genius. Don’t know what it is FG…the post concert experience is tough but not enough to stop me from planning out my next one. What a great sentiment..he is magical. SF…be safe say to sis for me and both of you enjoy and we’ll be here. Nice phone interview, they also play Ave Maria and Melodies of Christmas. 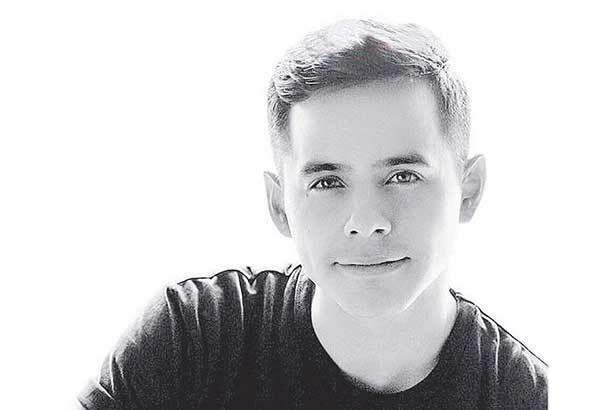 David Archuleta – The American Idol runner-up and award-winning recording artist discusses the inspiration behind his Christmas album, his efforts to help the less fortunate and why he thinks the challenges he’s faced have made him a better person..
Chills inducing comment….need to listen again. 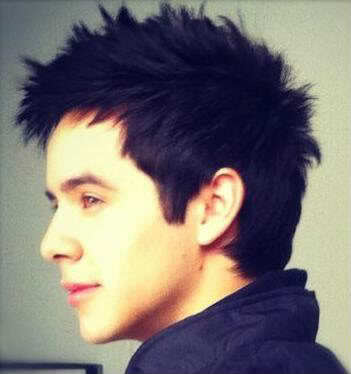 Good Afternoon, my David peeps! Wishing safe travels to David, his crew and to silverfox and everyone else going to tonight’s show. There’s a winter snow warning in Kansas City tonight with possibly 6-12 inches expected! 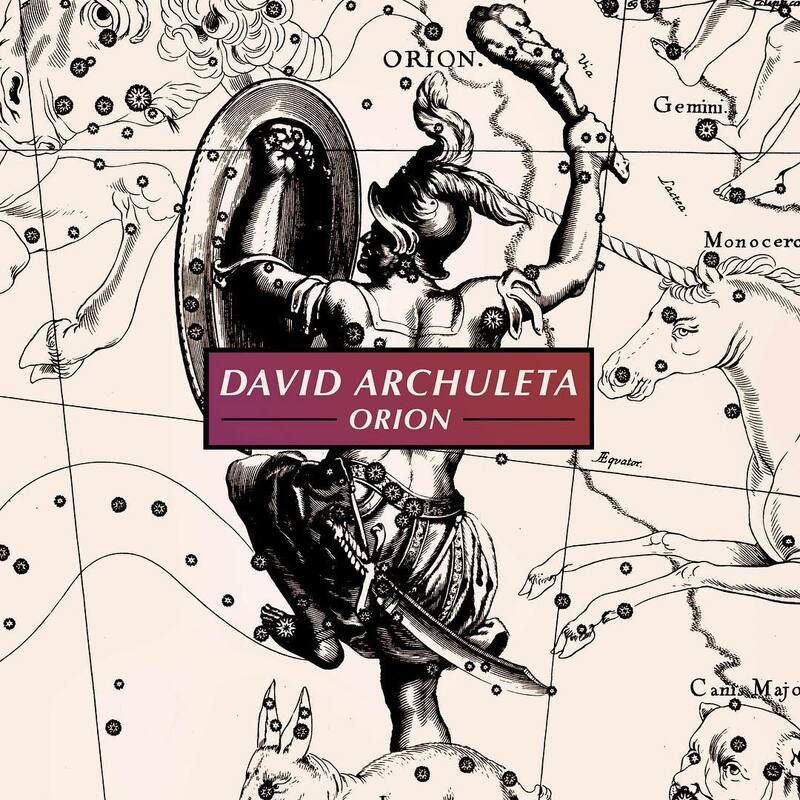 Angelica: I’ve noticed how David sings the word ‘world’ in “The Riddle”. Have you also noticed how he sings the word ‘love’ in “Fields of Gold”? For those of you that haven’t checked out the slide show with audio. Click on the picture on the right up top for a wonderful treat thanks to Angelica. Below that there’s also a picture of the Billboardlive free online concert. Click on that and it will take you right to David speaking to us. Really love that promo. YJfan – it was my pleasure to meet you and sit next to you. It is so amazing getting to see that others feel exactly as I do. I think we must share some DNA. You were so sweet. Angelica – yes! the way he pronounces certain words is like chocolate melting in your mouth. I do love his every breath. Bebe – Why, as a matter of fact, yes, I have noticed the way he sings the word “love” in Fields of Gold. (you know I have.) “Will you be my looooovvee, among the fields of baaahley? FG – Yes, the way he pronounces some words is EXACTLEY like chocolate melting in your mouth. Sheer ecstacy. 6-12 inches of snow in KC? Let’s take a little time this afternoon to say a little prayer for David and all the crew and fans traveling to the venue tonight that they will arrive safely. Abrra already knows but *Shhh* The plan is to go to TDC chat directly after tonight’s cellcast to welcome her back! Stopping by to let you all know that I really enojoy this fansite!! I stop by most days to see what’s up – this Riddle article is really well done!! Interesting that you picked out the Santa Rosa performance to post with the article because I think it’s by far the best yet. There is another video from the Santa Rosa performance that includes the introduction of the band which has stellar audio quality – I’ve been hooked on it for days!! If you want to check it out but don’t want to listen to the banter, just slide the bar at the bottom to get to the singing. WOW! This house is looking Mi Tee Fine! You made a wonderfully interesting comparison between to musicians who, in their real life, are so different. John the husband and father. David the eldest son and living example of kindness to everyone who gets in his orbit. It is a natural progression that David would find John’s songs appealing enough to cover them. Master has returned! And she comes bearing gifts! Your grasshopper is hopping through the grass, through baaahley, through all the fields of baaahley in the wooooooorrrld! Welcome Jeb! Where is video? Please copy and paste the URL cause we don’t wanna miss a thang. Hi Angelica This is the url Hope it helps! 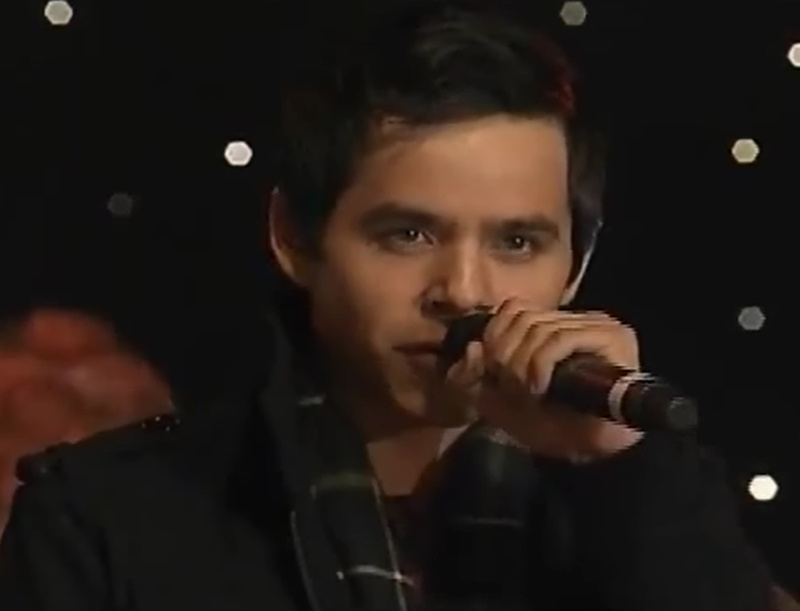 If not, I go to youtube and search archuleta the riddle santa rosa and it is the first video to come up. Welcome to The Voice Jeb! FG…forgot to mention that yes that is a beautiful picture up top…nose. Jeb, thank you. That audio is superb. You can really hear how sharp his voice goes in some places. Like “woooorld.” I know I’m redundant but I can’t get that wooooord. I would love it if he would collaborate with Ondrasik and do a lot more songs like this. 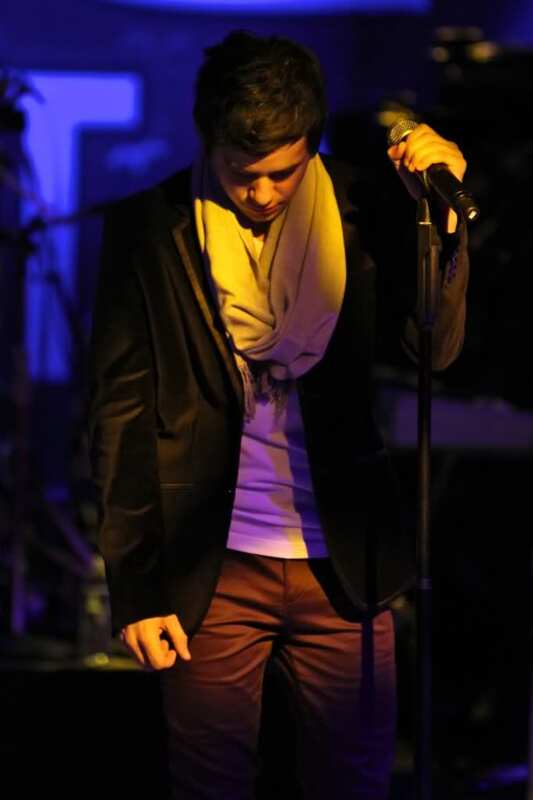 His voice is the most enchantingly beautiful thing I have ever heard. Glad you are enjoying the video. If I knew how I would make an mp3 of just the singing. Tonight’s performance sounded pretty good over the cellcast. Maybe more good videos will surface. Jeb, there may be easier ways but I use this program: Any Video Converter. Go here to download it. Once installed, click Add New Video, click on YouTube at the top, and then go to YouTube and grab the URL. Paste it in the box and click Convert. Make sure the top right box has MP3 in it as there are many different formats to choose from the drop down list. When the conversion is done, click on the output folder on the bottom left to see where it was placed on your computer. I’ve used it for several months, easy peasy and free. If you want to edit and cut out the banter, there are a lot of programs for that, one is Switch Sound File Converter. Check it out. 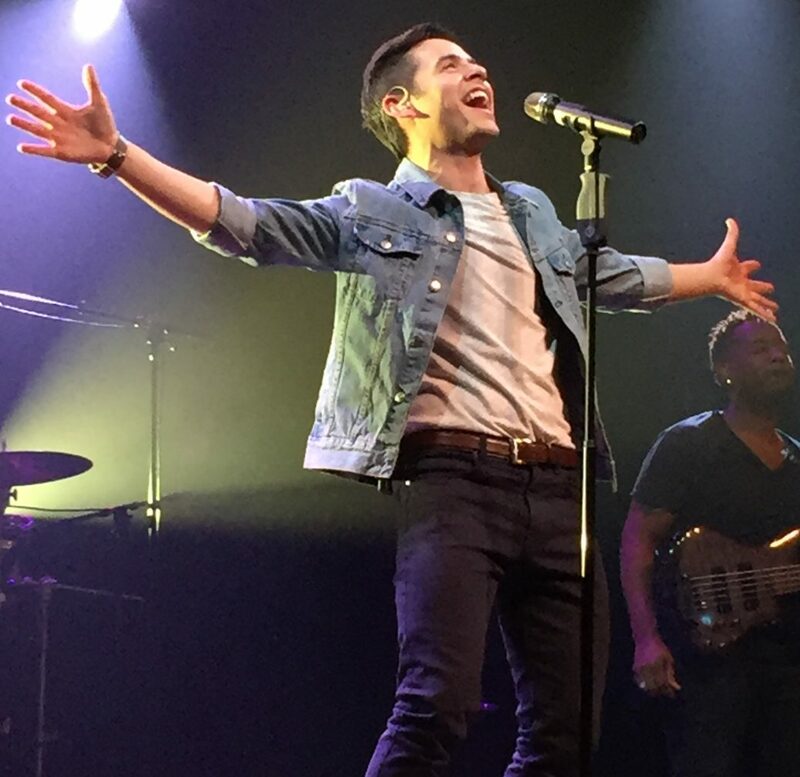 Another amazing night for David and us his fans. JEB Welcome to The Voice! I chose the Santa Rosa video for the closeup and for the amazing audio. Thank you for linking my article on FOD!!! Abrra: Welcome back and Thanks! Good Morning….SF and Hooked and Terry have a safe trip home. We’ll be waiting to hear from you! New interview …. loved this part. Next year, I want to focus on songwriting. I want to write as much as I can. Right after the holidays, I’m going to be working on my next album. . . . I’m hoping to show more of myself. What I’ve been trying to do in the writing is show more of my personality, what’s on my mind, my creative side and my realistic side — just showing people more of who I am. 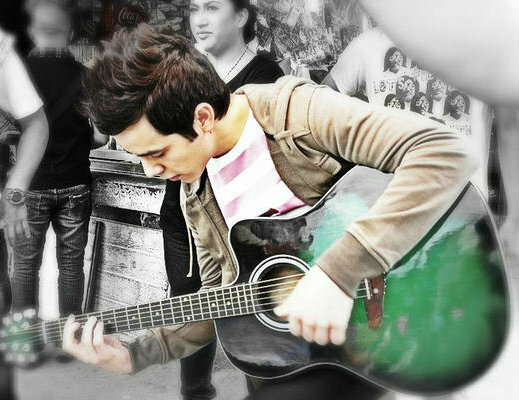 Another goal is to learn to play guitar better. Go to link for complete interview. 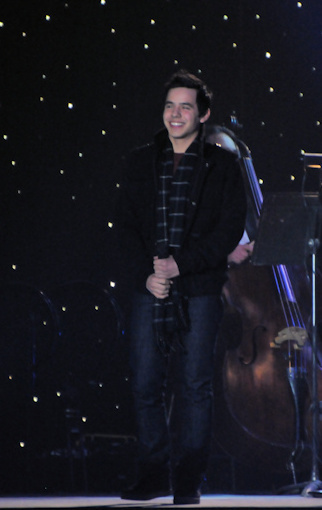 Don’t miss @DavidArchie Christmas Album & Tour interview segment on Entertainment Tonight this evening on CBS 7:30 ET!! David’s going to perform at the Helen of Troy Halftime show on December 31 at the 76th Annual Brut Sun Bowl at Sun Bowl Stadium in El Paso, Texas! I’m home! And I’m exhausted! Trip was all kinds of fun & so worth the stress I went through due to delays. How do you describe PERFECTION? Can’t be done. David was, is, and always will be PERFECTION, in character, in life and on stage. Silverfox….thank you for the prayer! Oh my goodness — the SF magnet at work. How does that happen — again and again and yet again? Can’t wait to hear all about it. Free Holiday Sampler at iTunes & David’s The First Noel is in it! The David Magnet must come to no harm. It looked packed to me when I was there…it was sold out! From Snarkies. Kelsey’s VIP recap from KC. Here it is. Oh David. What did we do to deserve to “get” you? Thank you Burkey for the link! SF, oh my heck, you do know how to leave us in suspense!!! Bebereader: Thanks for the link — that was indeed a very nice interview. Cara asked sensible questions and David gave excellent responses. She seems like a fan and is looking forward to attending his show. One of those most beautiful things I have ever seen. Please take note of the email subscription on the right side below the slide show, to be notified when a new article is posted on The Voice. Click on “sign me up”. I challenge anyone to look at that face and even consider the possibility of ever denying it whatever it would desire- just not humanly possible. It’s JUST NOT POSSIBLE! The answer to The RIDDLE is in there somewhere. For your information we have solved The Riddle! See ram’s reply (below) to dja’s photo at 6:57 pm. Heh! I’m sure Terry will tell you in her own words what she felt when she saw HIM! I’m still trying to process the whole experience from the time I boarded the plane to the time I got home late last night. As exhausted as I was today, would I go through it again? You Bet! In fact, I AM! Next week! Gosh SF! HE was staying in your hotel! You really must tell him to stop following you like that. Not! Oh if only you hadn’t spent that extra time primping. haha. Oh well, you met up later at the VIP. For someone who worries so about him, it must have been a good feeling knowing he was nearby and comfortable. Ahh, le bus de Archuleta. What a beautiful sight. Not as beautiful as that pic dja posted or the one betsy linked to. You are so right ram. He is undeniable. The answer to The RIDDLE is in there somewhere. Somehow I believe your right, it’s there, in that breath taking face. SF…You’re alive! In the same hotel, what are the odds? Actually I don’t think very high because somehow you two always meet up. So glad you made it in time. I had tweeted “Is Dee in Kansas yet” felt like I was looking for Dorothy…lol. Hoping to hear more about your experience. Terry and Teresa don’t be hold outs! David & Co, should be in Waukegan or at least Chicago, by now. Hope they are warm & cozy in a nice hotel for the night. Ray deserves our undying, heartfelt thanks for the way he really cares about David’s safety, health & well being. David couldn’t be in better hands. #67 He is too pretty. It really does hurt. Ram – loved what you said. I tried to catch up with you all last night ~ but epic failure. I have so much to get ready for this week my head is spinning..but I’m trying to be the voice of reason and calm for Abrra.. just don’t tell her I’m a flippin mess. We scored reservations for the BAB in Manhattan. Anyone attending the last 5 shows or the BAB.. other than Abrra and I? Whoa Dawn I am insanely jealous! I work at BAB in Michigan dang it! GRRRRR! WOW Dawn! 6 times in 9 days! OMH, you must tell us all about your marathon David encounters. I am so happy for you. You and Abrra have a great time! Can you do otherwise with all that intense Davidness to experience. I am leaving for Cleveland today. No VIP. 😥 Did not decide to travel that distance till they had sold out, which happened almost as soon as they went on sale. Still, I am thankful to be a Grit, (girl raised in the south) and actually experiencing a live performance of this awesome concert. Meeting lots of Canadian SnowAngels too and others is half the fun. So…yeah! Good to see you (((Dawn))). Hug him for me just once. You silly woman.. I love you.. and I miss you. Hopefully I can get back to my active David life next week. It’s weird. But I’ll see. I’ll do a litmus test on Sunday at the Montclair show, so I’ll let you know if he remembers me. My anxiety is starting to mount. Add me to the jealous list… Of course he’s going to remember you. And add a hug for me, maybe you could do a two for one hug? Have a great time and we’d love to hear all about it. FG that pic is on my desktop now…I try not to look at it often. Angelica…we’ll be here waiting for you!!!!!! Enjoy him! WTG for BAB and for 6 times in nine days! Maybe you and Abs can travel to Westbury with David and co. heh! Or at least make sure he gets from midtwon Manhattan to Westbury in time for VIP. Looking forward to seeing you in Montclair this Sunday! Yikes…in two days! Angelica: Wishing you safe travels and some cookies. Oopsie I forgot, no VIP this time. Just enjoy!! Bebe: I thought I remembered you saying you were quite a fangirl prior to discovering David. I hope that in ten years we can substitute David’s name in that sentence. Dawn: 6 times in 9 days? Good for you, and …. how do you do it? I think I need to win the lottery so I don’t have to work. I’d like to apply for ticket-taker or floor sweeper in David’s troupe. Hmmmmm…. Good morning everyone. Lovely Saturday morning here in Sydney. Bebe , I am now in love with The Riddle. I do thank David for introducing me to FFF. Out of topic: Billboard year end countdown. How do I do it Marlie? At this point in the game I’m asking myself .. How do I make it STOP !!! I have absolutely no self control. It’s ridiculous. Now I have an accomplice..so it’s a lose/lose situation. There’s got to be a line on the 1040 someplace to claim this stuff.. this is craziness. To all that think David will remember me.. I don’t know.. like I said.. I’ll definately let you all know Sunday night. Atlantic City was a long time ago in Archuland. I had a FABULOUS chat with the BAB phone lady.. she said I was a delight. We talked up a storm. She’s in Missouri.. she loves David.. she fangirled.. I let her.. I told her she was brave.. being in Cook country and all.. we laughed.. we walked down memory lane of AI days.. we had a grand time just chatting away. She did tell me there are a boatload of folks going to this thing.. and that most of the calls have been for adults.. mmm.. hello. Geez I miss this so much !!! I have to write David a letter tomorrow. Short.. how do you put everything you want to say in a short letter? Djafan, Just saw the picture at #67. I’m having a hard time breathing. He is just too gorgeous for his own good and ours too for that matter. Well hey there! I made it to Cleveland and my flight even got here earlier than scheduled! Now when does THAT ever happen? Hotel in the heart of the theater district overlooking the Christmas lights of downtown Cleveland. Lovely. So thanks for the wishes for a safe trip. I am better than good and there is still tomorrow to look forward to! The Palace theater where David will be performing is just a sashay away from the hotel. FYI, I just learned yesterday, that Cleveland has the second largest theater district in the US, only New York City’s is larger. So there’s a little trivia for ya. Can’t wait to meet TOfan, refnaf, YJfanofdavid, and Rebeccafod tomorrow and lot’s of others, which as you all know is half the fun! 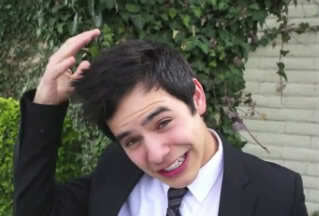 You know, if it wasn’t for David coming into my life, I would be at home in bed reading a book with the TV watching me. Call me crazy, call me obsessed, but life with David in it is just the best experience in the world, and it just keeps getting better and better! Dawn – About that 1040…I think we might be able to claim these expenses under medical, cause they sure are what the doctor ordered! Nighty nite, I’ll be in touch! Last minute change of plans. I am going to Cleveland!! Leaving in the morning with Rebecca. Angelica, Have a super-duper, great time in Cleveland! You will not believe your ears or eyes when David sings for you tomorrow night! You will think you died & went to heaven. Hey Dawn! Nice to see you! Will David recognize you? How can you even ask? You are “buds”! Are you kidding me? Well, c’mon, it’s gonna be LIVE! Now I’m more excited than ever. So glad you decided at the last minute to come! 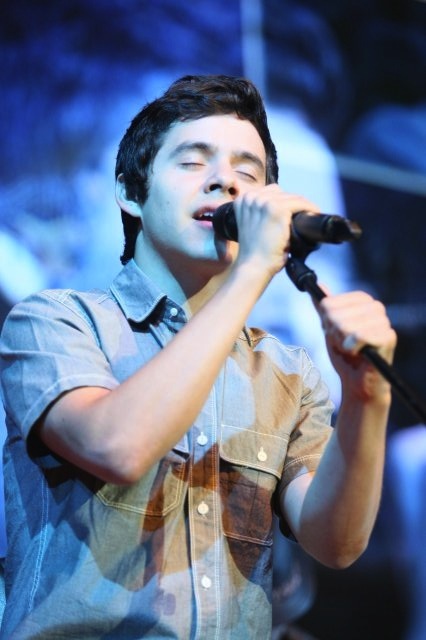 SF – “Died and gone to heaven.” I am whimpering over the thought of hearing the voice do these songs in (gorgeous) person. The prayer is love. Amen. Don’t y’all just love the way he sings Amen in Ave Maria? Of course you do. Oh my heck, I better try to get some sleep. I am running on adrenaline and fanticipation, baby! I feel a little hyper. Do I sound hyper? Uh oh…I just remembered I have a whole bag of Hershey’s Kissies. The good kind with almonds. I may be up all night! LOL! Angelica glad to hear your safe in sound to see The Voice! SF thank you for the prayer and one for you too. can think you’re an expert on this subject. Well together with your permission let me to seize your feed to keep updated with approaching post. Thank you a million and please continue the rewarding work.